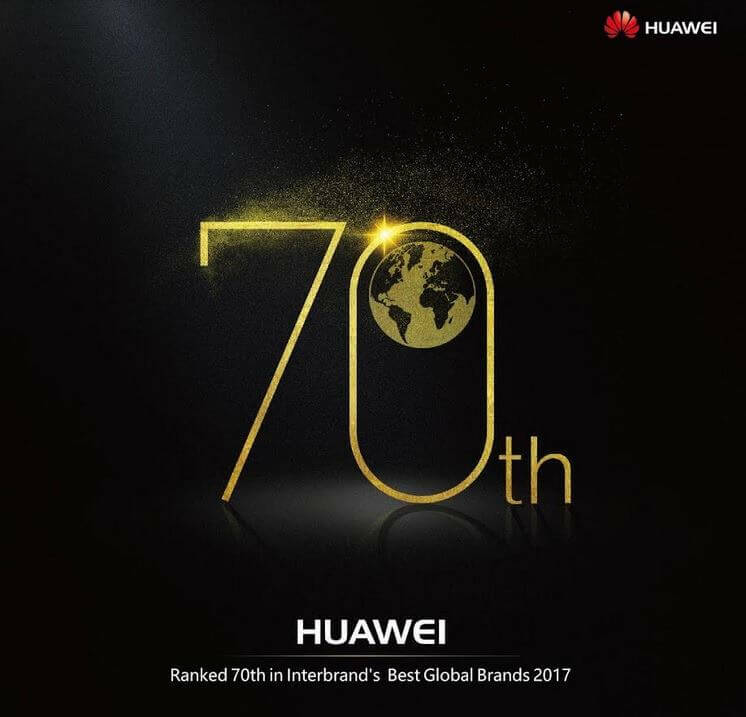 Interbrand has announced its 2017 Best Global Brands Report, and revealed that Huawei has jumped to number 70 – two spots up from its ranking in 2016. Claiming the greatest proportion of the top 100 rankings, technology companies continue to dominate this year’s Interbrand’s Best Global Brands Reports. And as a tech giant committed to excellence in research and development, Huawei enjoyed its third consecutive year of climbing the list. This year, Huawei valued at approximately US $6.676 billion and has grown by 14% over the past year. According to Interbrand, Huawei continues to accelerate global digital transformation by creating enhanced networks, and this effort has contributed to its 14% growth in brand value. Meanwhile, Huawei noted that their brand value increases due to strong performance growth and its development to the consumer electronics market. In fact, the brand’s smartphone shipment rose to 70.01 million in the first half of 2017. Outperforming the industry's average, Huawei delivers a year-on-year increase of 20.6 percent. In 2014, Huawei became the first mainland Chinese brand to be recognized as a Best Global Brand.